The International Online Record Book is the new online system to help participants, leaders and assessors doing, delivering and assessing the Award. Integrating online, email, mobile and, in the future, social networking communities, the International Online Record Book gives the entire global Award community greater connection with each other while making it easier to do and deliver the Award. Schools interested in ORB should give us a written consent, for sample consent form please contact priyank@dofe.in . Schools should use its official IDs to register as YES Centre instead of award leaders id, this is a mandatory requirement. An hour long swim routine for me is anything but tiring or exhausting it is in fact refreshing. I have been swimming for past twelve years. I am from Sarala Birla Academy, Bangalore an all-boys residential school located in Bannerghata region of Bangalore. 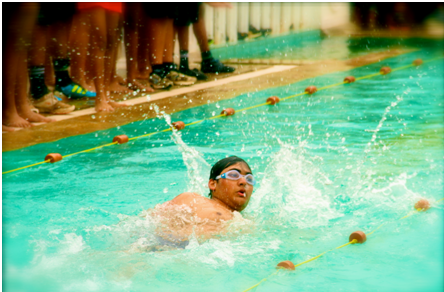 Under the able guidance of my coach Mr. Shashi, I have been able to win many laurels and merits in various inter-school and state level swimming championships conducted throughout Bangalore. I also represented a famous swimming club of Kolkata, the Calcutta Swimming Club participating in the intra-club swimming tournament. I have successfully participated in the swim-a-mile contest hosted by Calcutta Swimming Club on the occasion of Independence Day. I have won the silver and the bronze medals at the Karnataka ICSE Schools Association (KISA) State level swimming competition, which was hosted by The Ryan International School in 2012 and Sports Mentor in 2013. After having successfully getting the bronze and silver stage, I am currently pursuing the Gold Award for International Award for Young People. The National Award Authority (NAA) organized an Award Leader Training Workshop (YES Workshop) at Shri Kumaran Children’s Home, Bangalore (23 participants) and Shantiniketan Group of Institute, Bijapur (79 participants) on 16th July and 19-20th July 2014 respectively. Ice breaking session was the curtain raiser to the workshop; it was led by National Director Kapil Bhalla who also gave an introduction to the Award. The next session was led by Bivujit Mukhoty (Programme Manager) who shared details related to the Award philosophy and Award framework. Then Mr. Bhalla delivered a session on one of the four pillars of the programme i.e. Service, he started the session with an activity which helped participants feel the importance of this section. The post lunch session was devoted to Skills and Adventurous Journey sections, which were led by Bivujit Mukhoty. Kapil Bhalla also led a session on volunteering which is considered an integral part of the programme. The day ended with the screening of the IAYP India movie, "Why Not You?". The second day started with the last pillar of the Award i.e. Physical Recreation. The session began with some on-the-spot physical activities and then moved onto the requirements and importance of Physical Recreation. This was followed by the Residential Project which is part of the Gold Award programme. Some details regarding the technical aspect of the Award such as risk management were also discussed. The penultimate session was on the Web Resources and Online Record Book (ORB) which was led by Mr. Kapil Bhalla. This session was about details regarding International Award for Young People website and the presence of the Indian Award at different social media platform. Our National Director also talked about one of our new innovations related to the programme, the Online Record Book (ORB). He shared details on ORB process and the rollout plan for ORB. The final session of the workshop was taken by our Programme Manager who discussed the importance of branding and risk management in the smooth running of the Award. The workshop concluded with an appreciation note from Kapil Bhalla followed by certificate presentation to our new Award leaders. The workshop wouldn’t have been possible without the help of our National Training Panel members Mr. Skand Bali and Mr. K S Biradar. Jodhamal Public School organized a Residential Project for Gold Award participants under International Award for Young People at village Ismailpur Kothey in Jammu & Kashmir. The Residential Project gave the participants a shared purposeful experience with people who are not their usual companions; working towards a common goal. It was an experience that broadened participants’ outlook and horizons. Seventeen Gold participants started the project under the guidance of Award leaders namely Ms Shallu Sharma & Ms Deepmala Sharma and also a local guide Mr Tulsi. The participants stayed there in village with the local families and lived their life in the way locals did. They cooked food, did cleaning jobs etc as the villagers did. They visited villager’s work place that is fields, brick kiln and their dairy farms, they also visited dispensary of village and enquired about the health facilities provided by government in the village. In the free time the participants used to play different games with the village kids. During the night stay the participants used to teach adult people in village and narrated value based stories to the kids in very interesting manner. During this project participant learnt a lot about the village life, culture and tradition and came back with unforgettable memories. 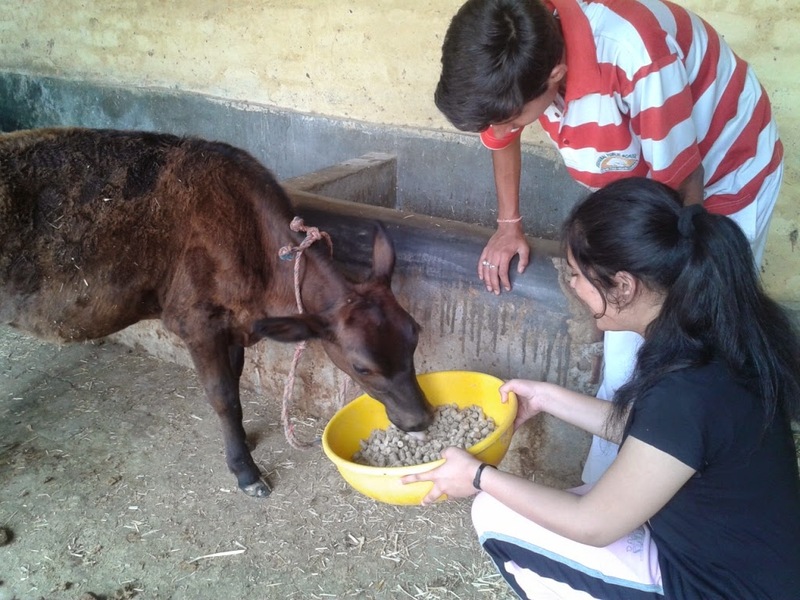 This project was an enriching experience for them which they will carry forward throughout their life . The award has brought a lot of change in the attitude of the children and we can see a sea change in their attitude towards the under privileged people in the society. On July 11, 2014, the International Award for Young People India organized an orientation programme for 500 students and 15 teachers for our new YES Centre, City Montessori School, Gomti Nagar. Programme Manager Bivujit Mukhoty and Communication Manager Srijan Choudhary were welcomed by Mrs. Abha Anant, Principal and Mrs. Chanda Kundra, Counselor and International Education in-charge. 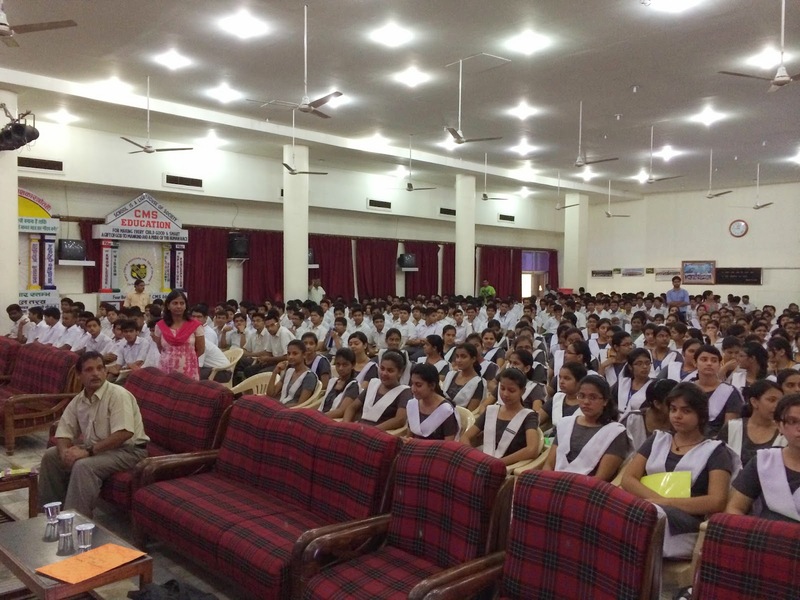 The orientation programme, involved a brilliant interactive session with students as well as teachers. On the same day the IAYP India team also visited St. Francis' College, Hazratganj where they met Father Denis Naresh Lobo, Principal, and discussed the inclusion of the programme in the organization. This visit was followed by a visit to L'ecole du Monde (School of the world) formerly known as The Awadh School. There the IAYP team met the Chairman of the school Vijai Yadav and Principal Shalini Tewary. The school is very upbeat about the IAYP programme, and looks forward to implement it in their school. The minimum requirement for a Gold Award participant to go on an Adventurous Journey is three nights and four days; as for the Silver Award participant it is two nights & three days but forty-five Gold and eight Silver Award level participants from The Cathedral & John Connon School decided to take their Adventurous journey to an all new level. Fifty-three participants went for their Adventurous journey for eight days seven nights, and the journey comprised five campsites and trekking journeys. Their journey included a 2.5 km to and from Shyama to Gyandhuri Village, a 6 km trek to Namik Village from Gogina Village and 9 km trek from Namik Village to Banjamani. On day 7 the students reached Sasundri Pass, the highest pass at 9800 ft, which was the highest point of their journey. The participants were also involved in activities like swimming and kayaking in Ramganga East river and mountain cycling on the bank of the river, which was their Camp Nachni, a beautiful camp on sand. There they also faced a thunderstorm, which blew away some of their tents, but all the participants boldly faced the wrath of nature. eighty Gold Award winners from across India. The Gold Award Ceremony 2014 was an event to experience and witness the excitement and happiness of youngsters from various schools and foundations who had successfully completed their Gold Award level. Former Chief Election Commissioner of India Dr. SY Quraishi had consented to be our chief guest for the event. The event started with our National Director Kapil Bhalla giving a brief report on what IAYP did in the past year and also explained what IAYP India stands for. Mr. Bhalla also took a moment to explain to our Gold Award winners, how this achievement is just the stepping stone for a brighter future and how the Award will help them in their journey. The report by our National Director was followed by speeches from our International Gold Event Seoul participants Anwesha Ghosh and Ankit Durga, they utilized their time on the stage by sharing their experience of the Award and how it has transformed their lives for a better future. This was followed by tabla performance by two students from GD Goenka World School, Gurgaon, which left the audience at India International Centre mesmerized. Finally came the time which each of our eighty participants had been eagerly waiting for, the Annual Gold Award Felicitation Ceremony. Our chief guest Dr. Quraishi presented each participant with Gold Award certificate, badge and tie/scarf. Along with the Gold Award winners, fifteen Award Leaders were also recognized for their long term contribution towards IAYP. Dr. SY Quraishi then addressed the audience, where our honorable chief guest talked about his journey through the Ministry of Youth Affairs and various other topics including, Indian Youths and their role towards growth of our country. Then a vote of thanks was delivered by the Chairman of Award Programme Foundation Trust Mr. Himmat Kalsia. 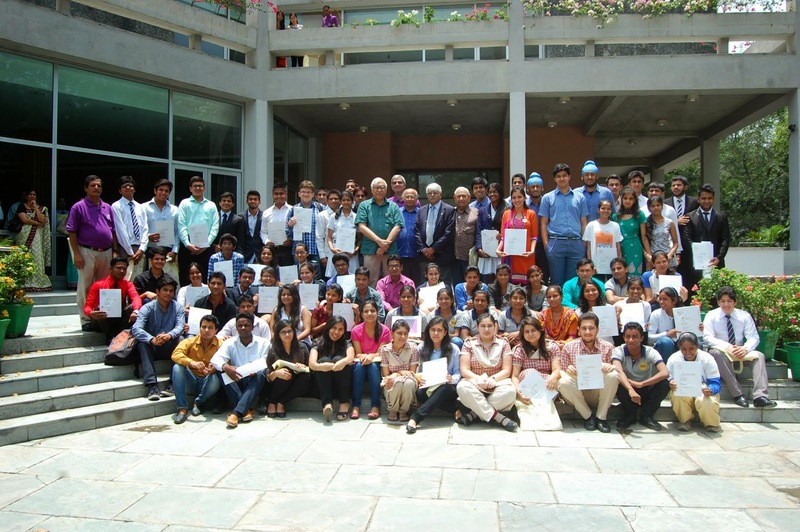 The event ended with a group photograph, where each participant displayed their achievement and shared their excitement and happiness with each other. All in all it was a run away success. of our voice cannot diminish over time and it remains unaffected by our age. Music helps me to momentarily forget the hustle bustle of my daily routine and enter an unexplainable third dimension where I can connect to my cultural roots. The serene environment and harmony of music is an effective stress buster and it spreads a sense of calm and composure in me. I develop a spiritual awareness and understand the love and devotion towards the Gods of Indian mythology. I love to sing and it gives me deep contentment to sing Carnatic music, so much so that I find time to pursue my hobby even when I am academically busy. 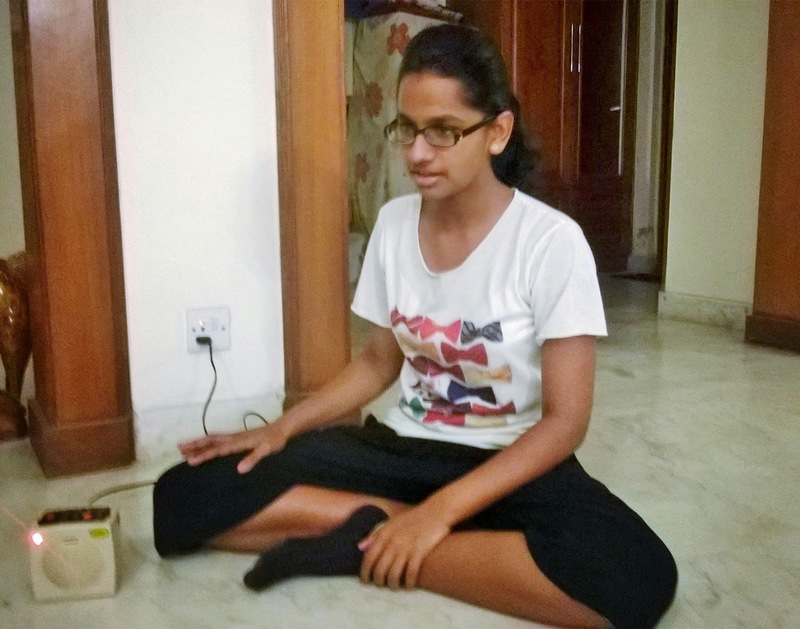 Filling in Carnatic music as my skill for IAYP India is not out of obligation but because it has given me a platform to be recognized for the activities that I genuinely enjoy doing. Harmony Through Education’s mission is to maximize the resources available for residents of underprivileged communities in developing countries, particularly focusing on special needs children and their families. It aims to provide educational opportunities for children who are mentally and/or physically challenged children in rural India. Harmony Through Education implements this mission by funding the creation of projects to establish and operate schools in rural communities run by citizens who are native to the particular country. 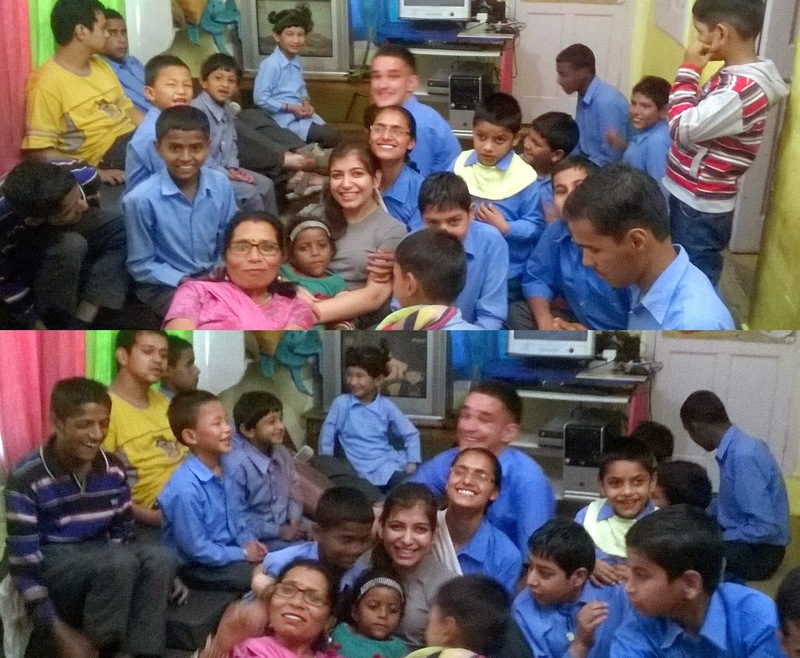 At present, Harmony Through Education, India Trust runs a school for mentally and physically challenged children in Dharamsala, Himachal Pradesh. The school provides year round education for children ranging from ages 6-20 years, charging them a nominal fee between $0 to $20, depending on their financial background. It runs in a seven room building with a kitchen, three class rooms, a store and a playground. The building of the school is on the main road in lower Dharamsala. The reason I chose to work for this organization was because I felt a pressing need to increase my sensitivity for specially abled people, especially children. Also, because I am naturally good with children compared to adults. At Harmony, as a part of my IAYP (International Award for Young People) Residential Project, I worked as a music instructor and a web developer for the trust for a week's time. The biggest challenge was to teach music to children who could not speak much, hear well or even make eye contact. This however, made me realize that music was above such considerations and the main purpose of my project should not be to expect them to learn what I was teaching them, but to feel a connection to music. We did the Hindustani Sargam (Sa re ga ma pa) and some Alankars and the children performed better than I had ever imagined. Out of thirty three, five to six children completely memorized the Sargam and some Alankars and two were even able to sing in perfect harmony. 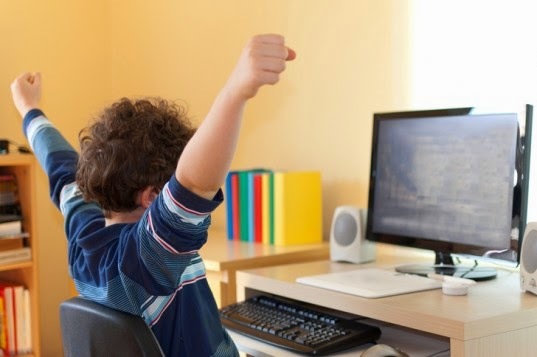 The rest involved themselves by enjoying the music sessions and in a week's time, their teachers reported that their temperaments had become calmer than ever before. As a computer science student and developer, I created a website and Facebook page for the trust to publicize its activities to garner more donations. This one week has probably been the most challenging yet the most gratifying one in my whole life. Not only did I gain new perspectives but also a higher level of sensitivity to people around us. The children gave back to me much more than I could possibly give them. Their ability to be happy and spread joy among people around them, even after being in the circumstances they're in, only motivated me further. I learnt the virtue of patience and how effective it can be, especially while dealing with special children. They taught me to rise above frustrations, every day they set a new example for me to follow. What greater frustration can there be than that of not being able to communicate. I left the school as a better person, with memories for life and lessons to live that life well. One of the biggest impact of that global climate change has been on historical monuments in India, in last fourteen years (from 1998 to 2012) Indian army has spent around 450 crores rupees in Kashmir under their ‘Sadbhavna’ project, which includes money spent on restoration of shrines and local places of worship. From the fact mentioned above it is clear, Indian government spends lot of the tax money on restoration and renovation projects. So to contribute this cause GEMS NPS International School’s Bronze Award participants decided to pick up the task of renovating, cleaning and painting a 600-year-old shrine Shri Shri Damodar Dev Satra located in the village Patbausi in Assam. The shrine was destroyed in 1964 earthquake and was repaired by then Chief Minister of Assam and since then the shrine was left without any care. As part of the service activity of the IAYP Award programme, the students have volunteered to render their service to bring the shrine back to its glory.